The art of cinematic storytelling on behalf of companies is usually associated with high-profile CPG, automotive and consumer brands, but VMware proved the format can be used just as effectively in a B2B context. 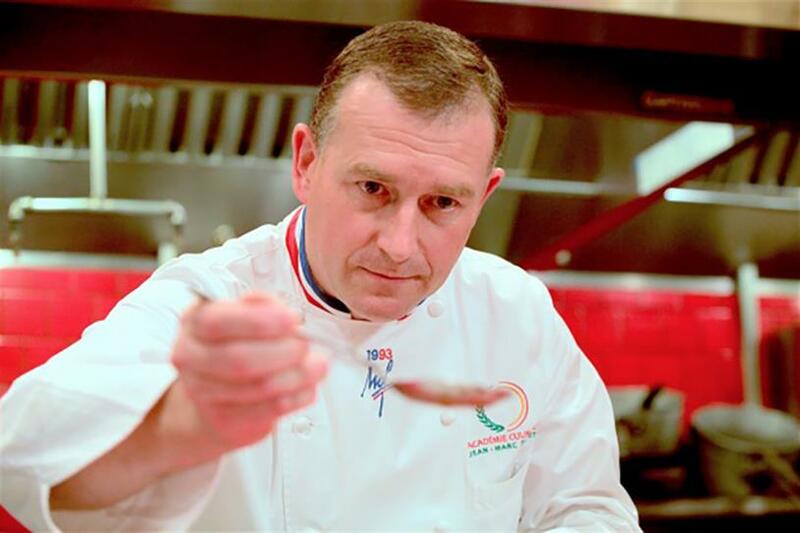 The film opens on French chef Jean-Marc Tachet, whose journey stretched from being a small boy cooking in the kitchen of his grandparents' cottage to become the youngest chef to be awarded the Meilleur Ouvrier de France, the country's highest culinary honor. 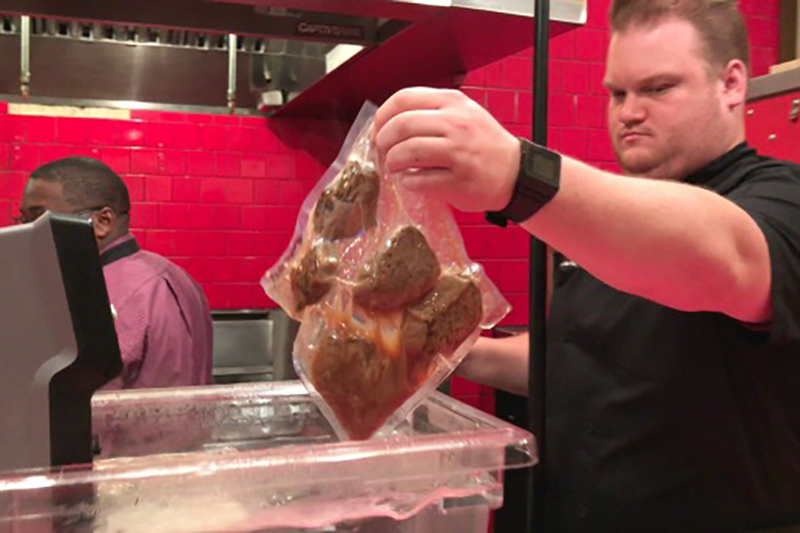 It goes on to detail how his pioneering cooking technique, "sous-vide" ("under vacuum"), is changing commercial food production for companies such as SugarCreek. 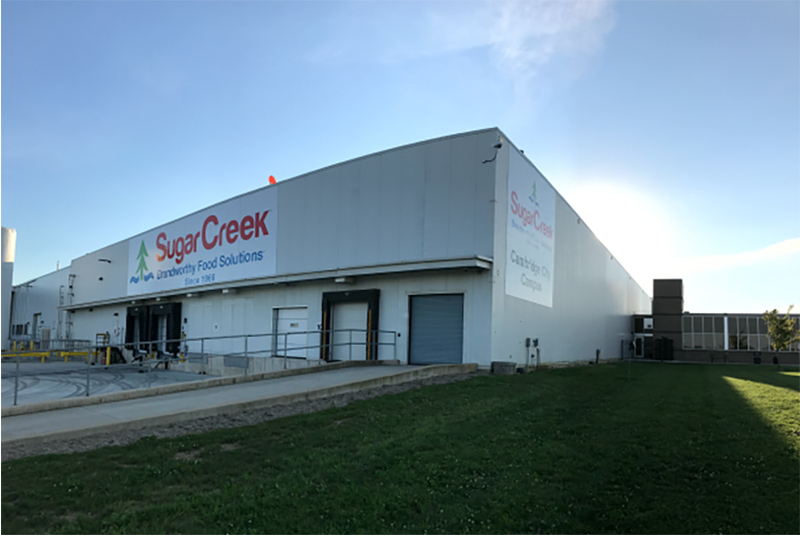 Using this system of submerging food in plastic bags under hot water, SugarCreek can more easily mass produce products for brands that also taste better, from poultry to vegetables. Outside the commercial food production company SugarCreek factory located in Dayton, Ohio. Whether it is a documentary about the safety and sustainability of food supply or a behind-the-scenes peek at celebrity chefs, audience appetite has been high the past few years for content about food. But the mini-profile described above is a brand film called "Leading Culinary Revolution" from VMware, a provider of cloud and virtualization software that allows a single computer server to do the work of many. VMware shows brand films don't necessarily have to be the sole preserve of cool, consumer-facing companies such as BMW, Nike and Starbucks. The B2B company has turned itself into a content factory of brand films, bringing interesting profiles to its specific audience about innovators in various industries, from a pre-med student helping improve healthcare delivery in Africa to elementary school teachers working to improve student learning. The brand is only mentioned sparingly in the films, which concentrate on celebrating innovators, particularly in IT. The IT aspect is the fact SugarCreek is using tech to help bring the chef's cooking technique to its business. Inside the commercial food production company Sugarcreek. Amy Plunkett, VMWare's senior manager, thought leadership campaigns, who co-led the project with Nicole Valencic, acting senior director, thought leadership, says the common thread in the videos is "how important courage is to the work of IT professionals today." She says the company wants to connect to CIOs and CTOs who are emerging within organizations "from an in-the-weeds IT manager to the hopeful leaders of the world of tomorrow. [Courage] is not something you'd expect as a critical element of their work, but making the leap to virtualized computing requires courage to consistently innovate and push business forward." Plunkett also notes that the video content serves "as a short circuit to some of the typical impediments to business storytelling," particularly in giving a human face and emotion to a techy topic. "These stories have global scale and are definitely meant to raise awareness about VMware and unique deployments," she says. "But by being attached to universally understood images and video of people and human experiences, the stories exceed expectations for engagement." Chef Jean-Marc Tachet's pioneering cooking technique, "sous-vide" ("under vacuum"). Visitors have been spending on average eight minutes with the videos and supplementary content, she adds. The SugarCreek video is the result of collaboration between VMware and PR firm Weber Shandwick, which was tasked in November 2015 with broadening the platform of VMware's website Radius, a hub for tech news, insights, perspectives, and thought leadership. "It was wildly successful and getting a million unique visits a year, but they were looking to widen the funnel of these stories," says Daniel Rucci, VP, executive producer at Weber. "A lot of the articles are laden with product names. We wanted [to align] VMware with human impact and make it understandable on a more tangible level." VMware and Weber brought to cinematic life great stories from the software company's clients, but decided the videos couldn't live on the main sections of Radius. To ensure it would be film-like—and not just an extended ad—they created a section on the site called "Impact Stories," complete with editorial-style text and photography to accompany the videos. "The litmus test became, 'Would I watch this and read this story? Is the story interesting and cool?' If the answer was no, we couldn't have it live on these pages," explains Rucci. "The video is only going to reach a wider audience with that human thread we can all relate to. In the first video that was chef Jean-Marc Tachet and his summers in France when his grandfather hunted and his grandmother would cook using a variation of the sous-video technique." It is one thing to set out to tell stories, but another to find something authentic to tell, especially in a B2B context often regarded as dull or unfashionable. VMware had its teams dedicated to customer care and leadership work together on finding stories that lent itself to a visual platform. "We identified many potential customer stories, but it became a months-long process of engaging with business-unit teams internally who would help us select clients and make the initial ask," says Plunkett. "We would then meet interested customers and the Weber Shandwick team to develop each narrative and creative approach, resulting in filming, production, and, finally, distribution." Weber produced the SugarCreek video with a combination of outside vendors and the PR firm's internal production team, made up of a network of 100-plus video staff around the world, including directors, digital cinematographers, photographers, editors and animators. Each "Impact" story is distributed via a coordinated promotion strategy of syndication to owned platforms and earned media. Stories and their component parts are promoted through the VMware corporate channels on Facebook, Twitter, LinkedIn, Google+ and email where they earn organic shares. In terms of paid media, the focus is on Facebook and Twitter. "We also utilized paid syndication platforms. As part of the stretch-idea nature of the campaign, we are continually piloting new platforms and channels in an effort to maximize performance," says Plunkett. "But, regardless of the tactics, the very strong performance of these Impact stories has validated the documentary storytelling strategy." The most recent mini-profile Weber produced for VMware shows how schools in Bloomington, Illinois, created a co-op of educational resources to address rising enrolment and declining revenue. Beyond growing external engagement, VMware uses the videos for employee engagement on campus displays and as content for its annual VMworld virtualization and cloud computing conference, says Plunkett. "Last year, we had a hall of customer stories built from multimedia and video elements that came alive through an audiovisual walkthrough museum-type experience," says Plunkett. There will be even more content to draw from at the US conference this year in Las Vegas. "When we began we knew we'd be sharing provocative stories that cause pause and reflection," Plunkett says, adding they also hoped viewers came away understanding that VMware technologies supported the success of the customers being highlighted. Click here to learn more about PRWeek and Campaign's Brand Film Festival London, or to submit your film for consideration. The deadline for submissions is January 26.